Years ago, I gave a friend a ride to the airport, so he could go to his hometown of New Orleans for the holidays. As a thank-you gift, knowing I was an avid cook, he returned with a jar of authentic New Orleans blackening seasoning. I graciously thanked him, while thinking, “Isn’t this stuff for meat? What’s a nice vegetarian girl like myself ever going to do with it?” Well, I had a lot to learn back then. Wanting to put my gift to use, I took it into the kitchen to do some messing around. This recipe was my first shot, and it was the one that stuck. 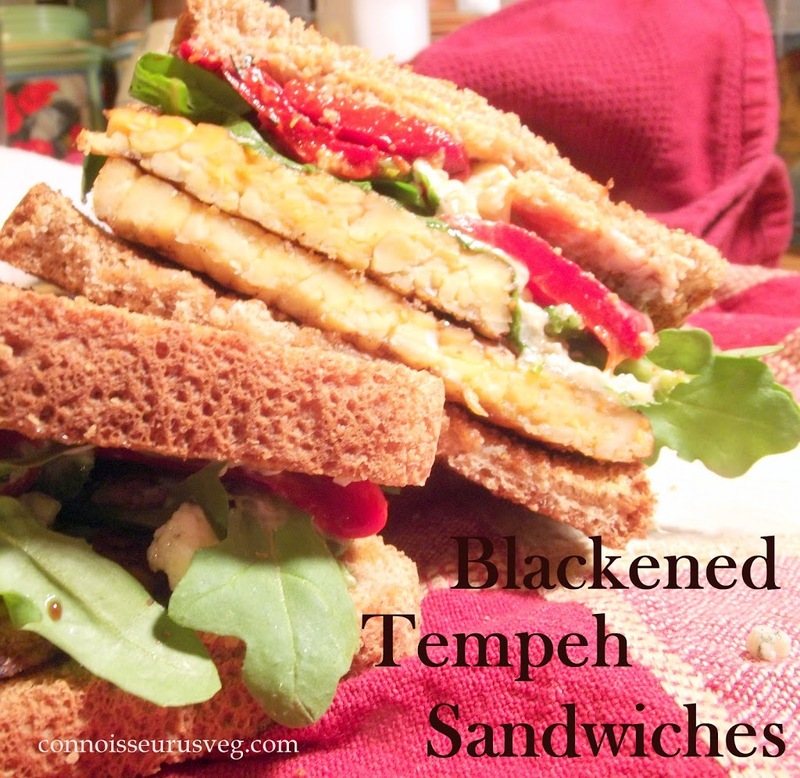 The spiciness of the blackening seasoning goes great with the grainy texture of the tempeh. Using it in a sandwich, as I’ve done here, is my favorite, but you can also cube your tempeh and throw it on a salad, or wrap it up in a warm tortilla. So just what exactly is blackening seasoning? It’s a powdered spice mixture that generally includes paprika, onion, garlic, salt, a few different kinds of peppers, and some herbs. Traditionally used in Cajun cooking, it gets it’s name from the darkening that occurs when cooked using high heat. It’s also noted for giving your food a nice kick. There are lots of recipes that you can use to make your own, if interested. I’ll leave that up to you. There are also plenty of brands available if you want to purchase your seasoning premade. You should be able to find at least a few brands at most supermarkets. Tony Chachere’s Creole Seasoning is a popular one that I’ve had success with, though it’s rather salty, so go easy and omit additional salt if you use that one. Whole Foods brand is pretty good as well, though noticeably lacking in salt content. Cut tempeh into four slabs by halving thinckesswise, then widthwise. 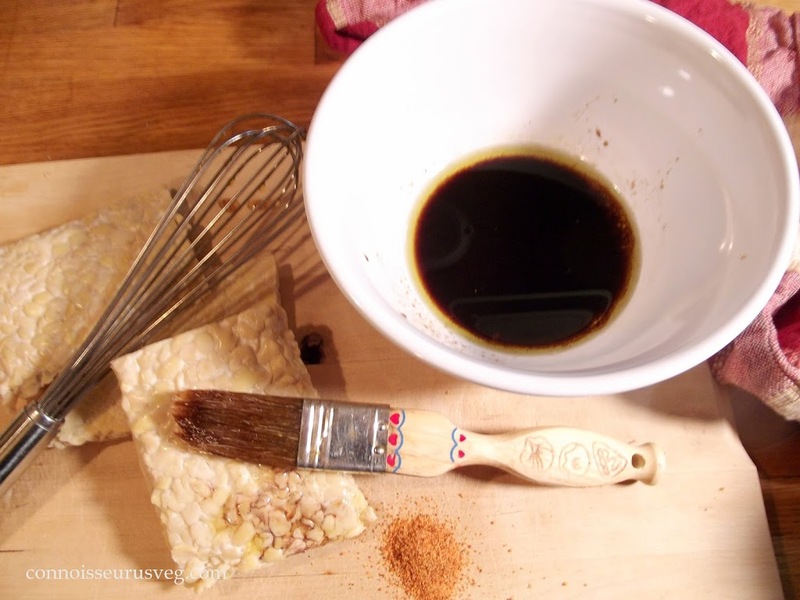 Wisk together olive oil and vinegar and brush over both sides of tempeh slabs. Sprinkle both sides of tempeh slabs with blackening seasoning, and sprinkle with salt if desired. Place tempeh slabs on cookie sheet and under broiler. Cook until blackening seasoning begins to darken and edges of tempeh begin to crisp. 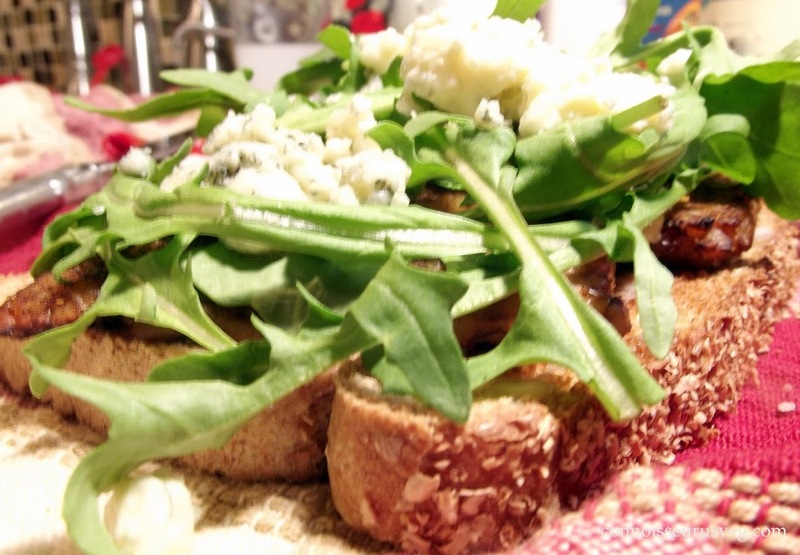 This could take anywhere between one and ten minutes, depending on the strength of your broiler. Flip tempeh, and repeat on other side. Meanwhile, keeping a close eye on your tempeh under the broiler, toast bread slices. Spread with mayo. 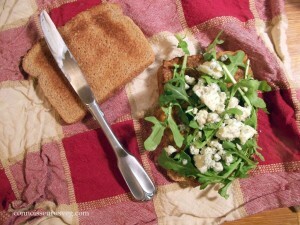 Top with arugula, peppers, and blue cheese. 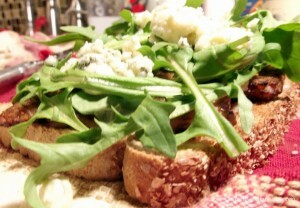 I also like to drizzle some of the remaining oil and vinegar mixture over the arugula. 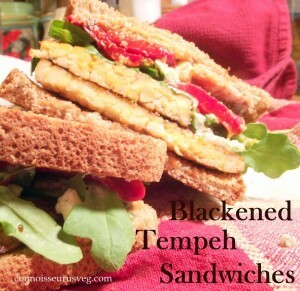 Remove tempeh from oven and add two slices to each sandwich. 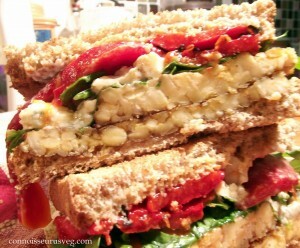 Close up your sandwiches and enjoy. 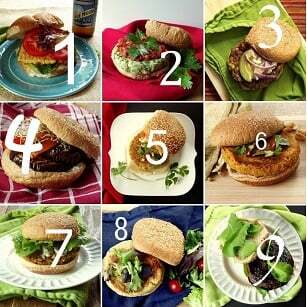 Please visit Connoisseurus Veg for the full post!